Caitlin & Bart are Fun In the Sun Weddings newest newlyweds! 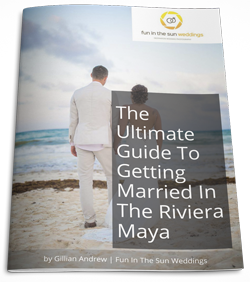 This bride and groom took their time getting to their happily-ever-after at a destination wedding in Playa del Carmen. Bart was patient and is now reaping the rewards. Caitlin and Bart’s relationship has been through an evolution over the last 5 years. They met playing pick-up basketball in college. They’ve been workout buddies, basketball coaches, semi-dated, lost contact a few times, and then Caitlin finally figured out that Bart would make an awesome boyfriend! Once she came to her senses, Bart didn’t let too much time pass before proposing. He sent Caitlin on a scavenger hunt to all of their favorite spots with her best friend as a guide. At each location, a friend was waiting to present her with the next clue which eventually ended at a rocky cliff overlooking a golf course and the mountains where he popped the question. The bride’s sister is a wedding planner in Colorado so she managed all the little details for them. Typical of choosing destination wedding packages, they had to put a lot of the wedding together from afar and then hope for the best. But when it all came together the real deal blew Caitlin’s mind! Plus, Caitlin’s sister said that the wedding photographers (us!) and the DJ (DJ Diego EvolutionMix) are the best she has ever seen in the business. The bride and groom both tell us that the wedding ceremony on the beach was their favorite moment of the whole day. For Bart, it was being blown away seeing Caitlin for the first time and holding her hands as they exchanged vows. For Caitlin, it was walking down the aisle with her parents and seeing Bart, plus having a crowd of resort guests watching them become husband and wife. What is the bride’s advice for the brides-to-be’s getting married on the beach? Don’t expect everything to go as planned (I missed my own rehearsal dinner). Smile the whole way through. At the end of the day you get to marry the person you’ve always dreamed of and that’s enough to trump any troubles you may face along the way! Caitlin & Bart, it has been such a pleasure getting to share your special day! We wish you every happiness in this next chapter of your lives together. Congratulations! 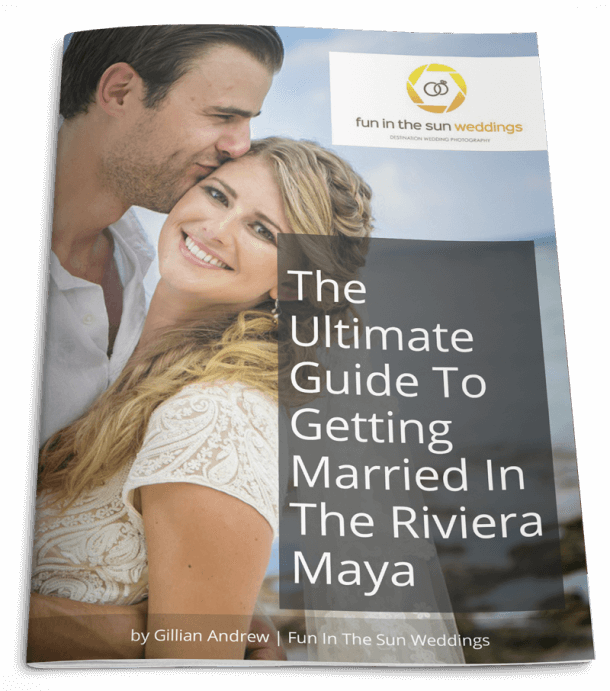 Want to know more about the Riu Palace Riviera Maya? Read unbiased reviews on Tripadvisor here. We loved working with Mark and his crew - they were awesome!